Flood: Any high flow, overflow or inundation by water which causes or threatens damage. Flash Flood: A rapid and extreme flow of high water into a normally dry area, or a rapid water level rise in a stream or creek above a predetermined flood level, beginning within 6 hours of the causative event (e.g., intense rainfall, dam failure, ice jam). However, the actual time threshold may vary in different parts of the country. Ongoing flooding can intensify to flash flooding in cases where intense rainfall results in a rapid surge of rising flood waters. In tropical storms and hurricanes, wind speeds and surge are not the only danger—flooding and flash flooding have claimed the most lives in tropical cyclones from 1970 to 1999 (unlike the historic 2005 hurricane season, where storm surge claimed thousands of lives). Flash flooding will occur in creeks, streams and urban areas within hours of torrential rain. These floods can reach heights of 30 feet or more. Streets can be turned into rivers, and underpasses become deadly. During the 20th century, floods were the number one natural disaster to cause the loss of lives and property, according to the USGS. 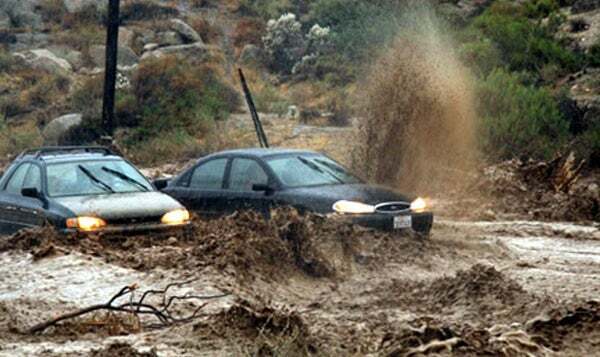 Flooding can occur in a number of situations, including heavy downpours in strong thunderstorms, or during the spring when snowpack is melting. Record flood events have occurred along the Mississippi and Missouri rivers in years such as 1927, 1973, 1993 and 2011. During the spring, snow melt from winter snows flows into rivers in the upper U.S., most of which converge into the Mississippi River. After winters of extreme snowfall, rivers can swell far into their flood plains and wreak havoc on river towns. 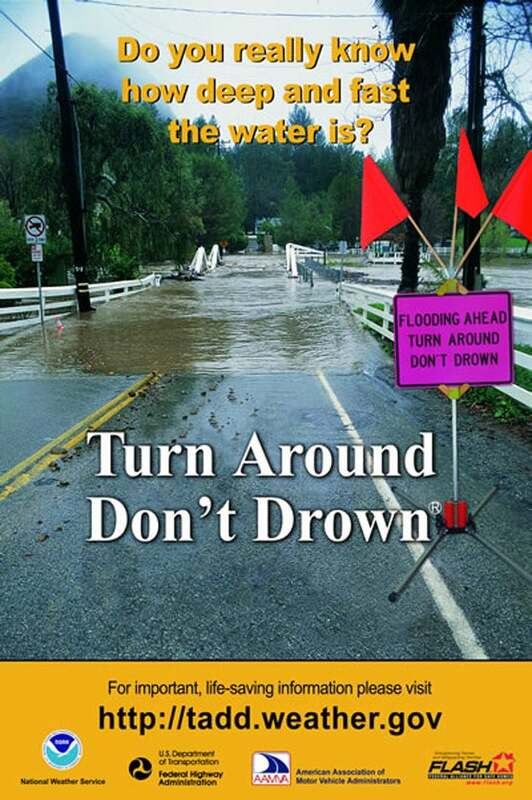 The National Weather Service's "Turn Around, Don't Drown" program warns people of the danger of driving through flooded areas. The Center for Disease Control estimates that over half of all flood-related drownings occur when a vehicle is driven into flood water. 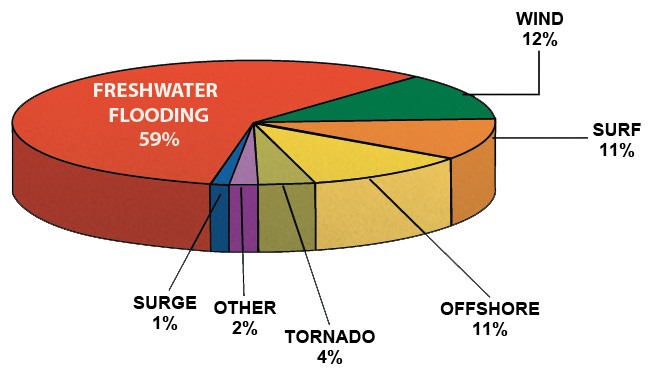 The second highest percentage of drownings are from people who walk into or near flood waters. Hydrologic Outlook: A hazardous flood event could develop. Flood Watch: The expectation of a flood event has increased. Usually this means that somewhere within the watch zone, a flood is expected. If you're in the watch area, you should pay attention to Weather Radio or local news in case a warning is issued. Flash Flood Warning: Flash flood warnings, flood warnings or flood advisories are issued when flooding is occurring or imminent.